Each morning, when I wake up at six or seven, I take ten deep breaths. Then I place both hands over my heart and repeat, “I love you, Carolyn, for whatever is true in your body in this moment. I love you for feeling tired, worried, scared or down. I love you for noticing back pain and for wishing the back pain would go away.” In other words I say, “yes” to what is and love myself exactly as I am. Even though I have meditated daily for 30 years, I still do this. Why? 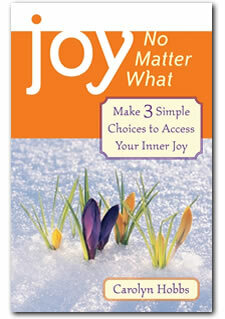 Because we are all born with an unlimited capacity for joy, loving-kindness, compassion and inner peace. The problem is, we grew up learning to look outside ourselves—to parents, teachers, elders, and older siblings—for all our love, approval, and acceptance. We can spend our whole lives hoping that somebody, someday, will find us worthy of love. As adults, the more desperately we look outside to parents, lovers, spouses, friends, children (even one-night stands), to prove that we are worthy of love and approval, the deeper that empty unlovable feeling grows inside. The longer we postpone giving ourselves the loving acceptance and approval that is lives right here, inside our wise heart, the more desperate we feel. The solution is our innate Power of Fearless Love. Fearless love sees disappointment, loss, even divorce as opportunities to love and accept every aspect of being human, reminding us to, “Love even this.” It throws out the welcome mat and holds worry, fear, despair and grief in loving compassion, whispering, “Don’t wait! Love yourself right now for feeling scared or down; and you’re safe to feel how sad you really feel inside.” It teaches us to trust our timing and our changes by saying “yes” to whatever arises. When we listen to our wise heart, fearless love constantly reminds us that we are perfect just as we are. It watches feelings come and go without identifying with any anger or resentment story. It instills courage to hear our heart-felt longings and meet our human mistakes with “I forgive you.” Tapping into Fearless Love begins by asking ourselves, “What would I love to hear right now?” and patiently listening for our wise heart to answer. When we feel pushed for time, fearless love reminds us, “You have plenty of time to do what you need to.” When we are reeling from a morning conflict with our spouse or teenager, fearless love jumps in with, “You are loved just as you are. Let it go.” When illness strikes, Fearless Love offers a breath of fresh air with, “We’ll make healthy choices for our body and heart today.” Notice how you speak to yourself today when you feel hurt, upset, anxious, scared, angry or down. Just notice with a neutral tone, without judging yourself. Starting tomorrow morning, before rising, take ten deep breaths, place both hands over your heart and ask, “If I could hear anything now, what do I secretly wish someone would say to me?” Breathe deep in your belly and patiently listen for the soft, quiet voice of your wise heart to bubble up from deep inside. Whisper this phrase to yourself five times (each repetition quiets that annoying skeptic inside). Whether your loving phrase is “I love myself for feeling scared,” “I understand me” or “I am safe and loved, even now,” feel free to repeat your loving phrase every morning for as long as it nurtures your body, heart and soul. Throughout the day, whenever you think of it, ask, “What would I love to hear?” and repeat it to yourself. Telling yourself what you love to hear—and not waiting for a loved one who may be too preoccupied to think of it today—takes desperation out of the love equation. Once you see yourself as the fountain of fearless love that you are, you feel much less devastated when a loved one—lost in their own thoughts and habits—speaks words that trigger hurt or rejection. The more you trust your inner wisdom, responding to anger (our own and others) with fearless love, you invite everyone around you to tap into the fearless love inside their wise heart. Fearless love infuses us with that inner joy, freedom, happiness and inner peace we all long for everyday. Now we are free to give it to ourselves. 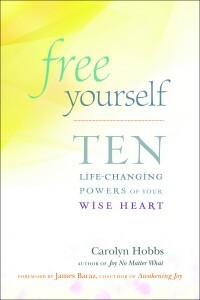 Carolyn Hobbs’ new book, FREE YOURSELF: Ten Life-Changing Powers of your Wise Heart, is available. Her website is www.carolyn-hobbs.com. As a therapist, writer, teacher, and workshop leader, Carolyn Hobbs has spent over twenty years teaching clients, couples, and students the path to consciousness and joy. 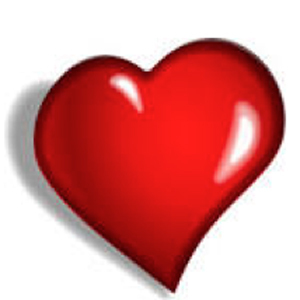 This entry was posted in Carolyn Hobbs, Fearless Love, Feelings and tagged Carolyn, Fearless Love. Bookmark the permalink.